LiveArea is an award-winning global commerce services provider, blending strategy, design, and technology to bring digital commerce to life. We deliver a holistic portfolio of digital commerce services to elevate brands and remove friction from every interaction. For 20+ years, we’ve helped world-class brands transform and grow their online businesses. 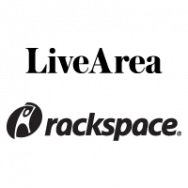 Rackspace is a leading provider of IT as a service in today’s multi-cloud world and delivers expert advice and integrated managed services across applications, data, security and infrastructure, including public and private clouds and managed hosting. Rackspace serves more than 140,000 business customers, including most of the Fortune 100.